Carry shoes, supplies. Fits onto 3 ball tote. Looks good. Excellent for carrying shoes and other equipment to league or tournaments. Plenty of room, matches my 3 ball tote and hooks onto the tote. Hi Matt. Unfortunately, this bag will only store shoes, it will not have room for a ball or have wheels. 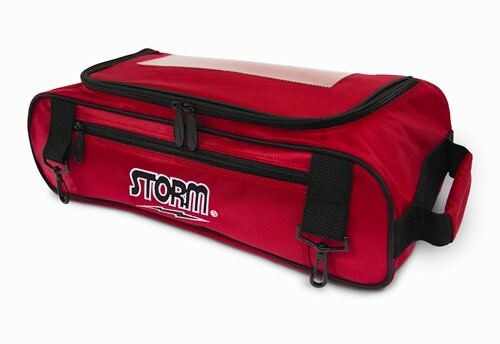 Due to the time it takes to produce the Storm Shoe Bag Red ball it will ship in immediately. We cannot ship this ball outside the United States.